Welcome to all my fabulous new blogger friends, I look forward to getting to know you all and I welcome any comments and/or tips and tricks. It has been crazy busy around my house with little league baseball, school and work, but I have found the time for a few cards and a couple of layouts. 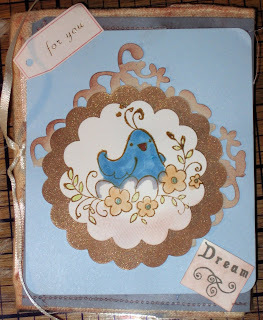 Also I received a wonderful PIF (pay it forward) gift from Kim B. at A Gypsy Angel (see below picture). Isn't this just the cutest little notebook. Fits in the palm of my hand, even better, my purse. Thank you Kim for the wonderful gift. 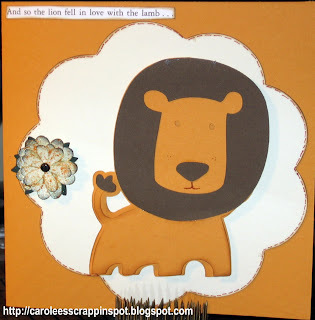 Next is a card I made for the CWC-22 Lions and Lamb Challenge. I hope you enjoyed my card as much as I did making it. Oh yes, also...at my children's school (K-5th grade) it is Youth Art Month and a few pieces of the art work is chosen from each grade level for display at our local Performing Arts Center and...my daughter's (3rd grade) art work was chosen to be one of pieces. Needless to say I am one very very proud momma! I will post pictures as soon as I can. Awesome gift you got there Carol and great job on the your card. Sentiment you used are are super sweet! Thanks for joining the NCM challenge! The lion is so cute on your card. Thanks for playing along with us at Cooking with Cricut. Hi, Carol! Thanks for stopping by my blog. Glad to see you are a Twi fan too! 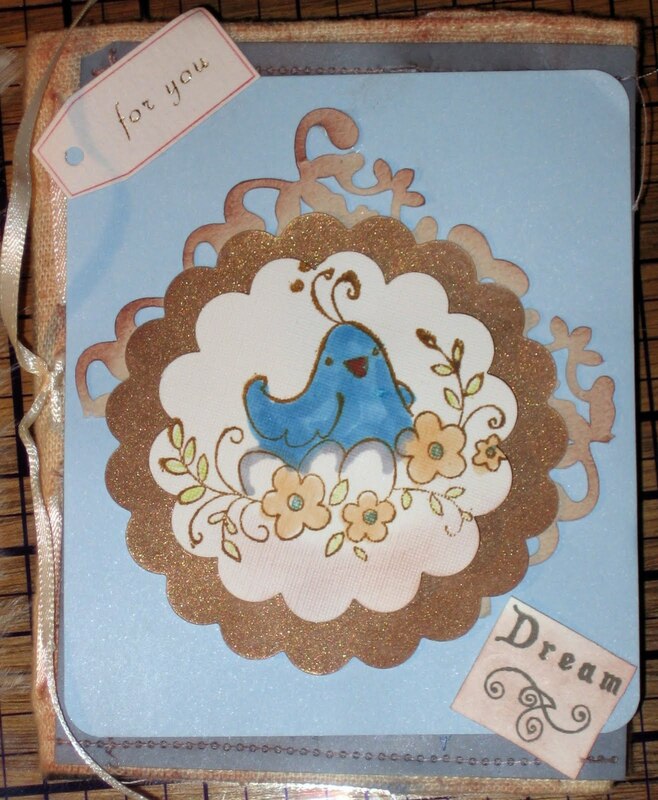 LOVE your cute card with the Twi quote! Congrats to your daughter! What an honor! 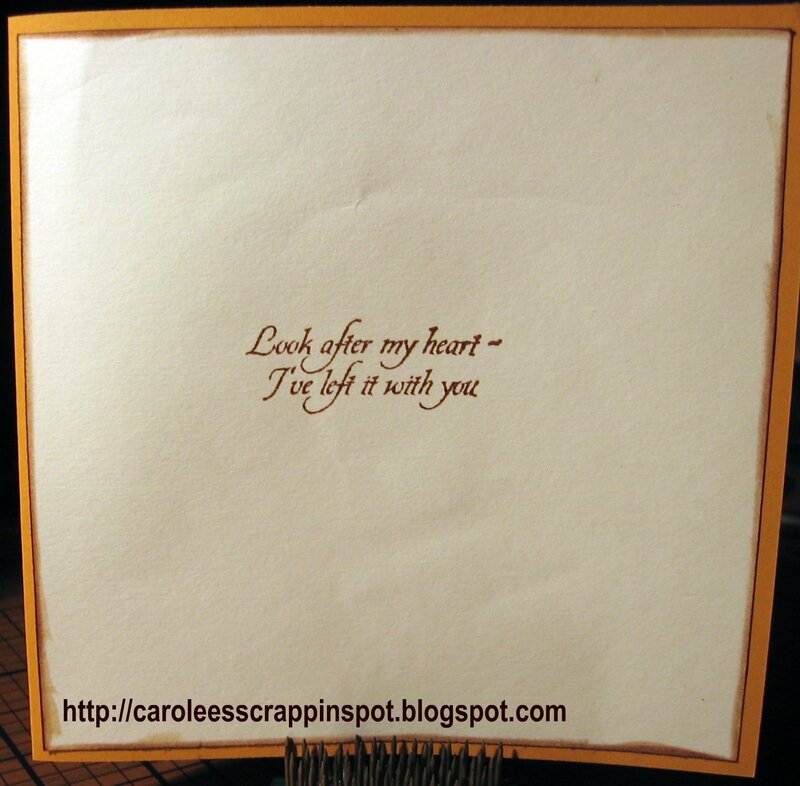 Cute card, Carol! Love the Twilight quote! Congrats to your daughter . . . like mother-like daughter! Thanks for joining us this week at Cooking With Cricut. You have such a lovely blog! 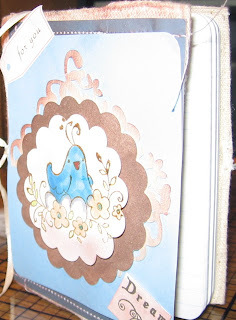 I'm a fellow classmate in Shimelle's Blogging for Scrapbookers class. Looking forward to your posts! love your lion your cards are rocking! First, congrats to you and your daughter:) Can't wait to see pictures! Your card turned out great! Love the Lion! 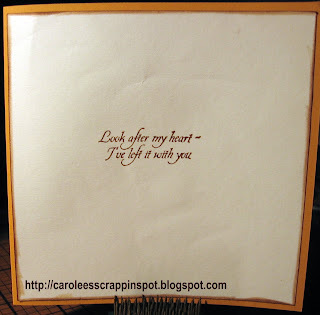 TFS and thanks for joining us this week at Cooking With Cricut. I love your lion, he is so cute!!!! Magnificent idea. I love how the layout was tastefully done.